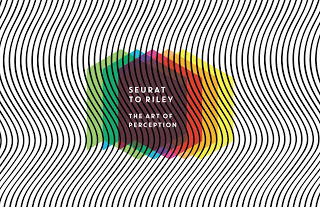 Seurat To Riley: The Art Of Perception at Compton Verney Art Gallery, Warwickshire. Degas famously stated ‘Art is not what you see, but what you make others see.’ Seurat, his contemporary, responding to colour theories of his day took more direct action. His Pointillism juxtaposed individual brush strokes of contrasting colours to create shimmering effects. In addition to paintings by Seurat, the opening room of this excellent Compton Verney exhibition has a painting by that icon of 1960s art, Bridget Riley. This sets the agenda for her pervasive presence. Although the organisation of the artworks is mostly chronological, this is occasionally broken, but always with an intelligent thematic purpose in mind. The exhibition proposes other precursors of 60s Op Art: the mathematical compositions of M.C. Escher and dynamic responses to machine movement by the Vorticist Helen Saunders. Perhaps more significant is Josef Albers. Better known for his investigations of colour, he is also represented here with compositions based on shapes and lines, their angles and varying thicknesses producing optical illusions of depth. As a leading member of the Bauhaus, it should not be a surprise that Albers approached optics with a combination of rationality and experiment. When I visited this exhibition, I also attended a talk by Dr Frances Follin, who co-curated it with Compton Verney’s Penny Sexton. She presented some of her fascinating research on the reception of Riley’s work in the 1960s. One of the hot debates at the time was the position of mathematics and science in relation to Op Art. There were apparently scientists eager to escape the intrusion of art into their activities, thinking its populism might swamp their more serious intentions. Riley was going in the other direction, basing her art on an aesthetic of perception and an intuition that did not have mathematics or science as its basis (no matter how much it might be possible for others to interpret it in those terms). Riley’s technical realisations, through drawing, painting and printing media, are superb and part of her integrity as a leading artist. Her earliest works in black and white are stunning. To stand in front of Fail (1963) and Over (1966) is to experience the wobbling of visual perception and, even more incredibly, colours not physically present can nevertheless emerge. Her work is an invitation for the viewer to experience change and transformation. As with other Op Art work, this can bring about disorientation, but reality becoming unfixed is also exhilarating. 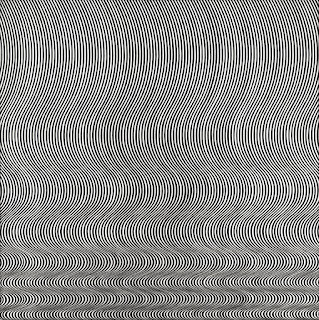 Follin’s talk expanded on the exhibition text that cited Op Art as part of a post-1945 movement towards greater participation in the making of art. 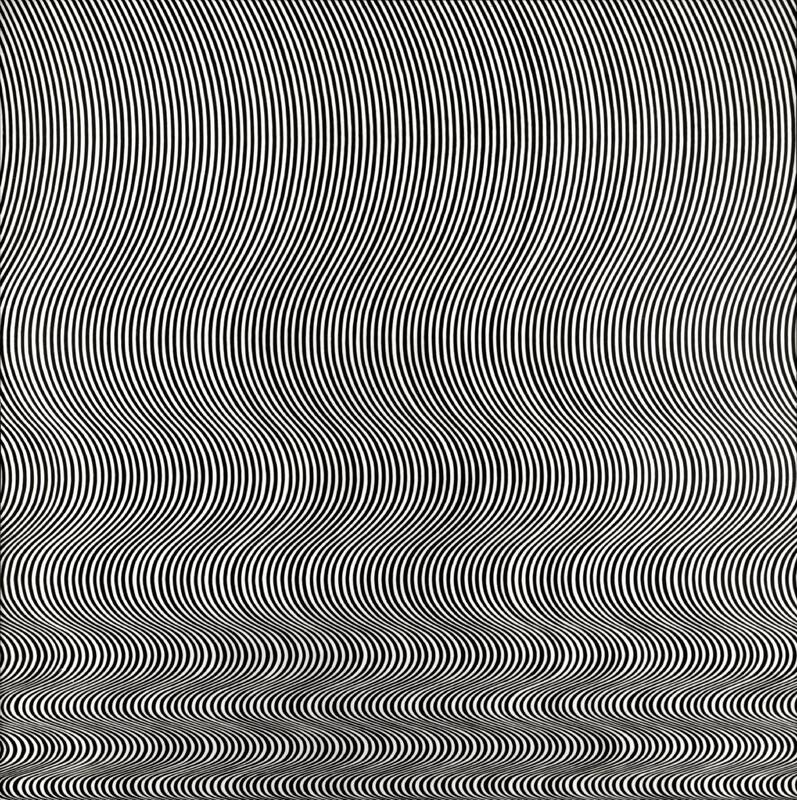 Contemporaneous with 1960s “Happenings” Op Art led back to two dimensions that involved active perceptions of the viewer. It might be argued that visual art had always done this, but it had never before achieved it in such a heightened and powerful way. Although Riley predominates, there are plenty of wonderful artworks by other artists, notably Victor Vasarely, equal in importance to Riley, and someone more accepting of the mathematical. The paintings of British artist Peter Sedgley were a revelation to me. They are both majestic and subtle. He deliberately presents us with an out of focus effect, and our eyes conditioned to focus are nudged into perceptual movement. He also uses colour, which of course Riley, after her classic black and white Op Art, also has as central to her practice. The Venezuelan artists Carlos Cruz-Diez and Jésus Rafael Soto combined Kinetic Art with Op Art, and our own bodies are the kinetic element: giving the artworks Op Art movements by walking along them. A 2008 sculpture by Liliane Lyjn actually does spin round, and in doing so lines that are part of it move vertically without moving: it is perceptual illusion. The title is Clear Red Koan, with Koan being that Zen puzzle which creates doubt and paradox as a way towards truth. Op Art still looks fresh and also continues to have an influence on some of today’s artists, as shown in the final rooms, with impressive work by Jim Lambie and the more established Daniel Buren. The exhibition ends with Lothar Götz taking over the walls of an entire room. With Salon Diagonale (Compton Verney), he has responded with shapes and colours to the architecture of the room and the Capability Brown parkland visible from its windows. This exhibition has received considerable press coverage and rave reviews, and rightly so. Anecdotally, at the end of the 90s I visited an exhibition at the Tate in Liverpool: a survey of British twentieth century art. From that selection, I thought Bridget Riley was one of the standout artists. It was a suitable judgment, because Riley and Op Art are not just about perception, but affirmation too.